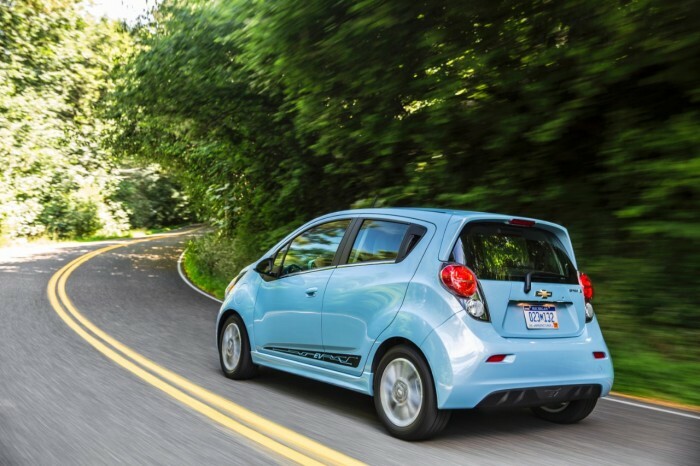 In the newest commercials for the 2015 Chevy Spark EV, Chevrolet is attempting to assuage common electric vehicle fears of short ranges and long charge times. The first ad, aptly titled “Zero-Emission Driving Up to 82 Miles,” states that the Spark’s lithium-ion battery is capable of powering the vehicle for 82 miles on a single charge. That’s not an incredible range, by any means, but as the ad notes, it’s twice as many miles as the average American commutes each day. The Spark EV has a lot going for it, including its EPA-estimated combined 119 MPGe fuel economy equivalent, which makes it the most efficient plug-in car sold in the US. And with decent range, charging times, and government incentives, the Spark EV will probably prove attractive to eco-friendly commuters.